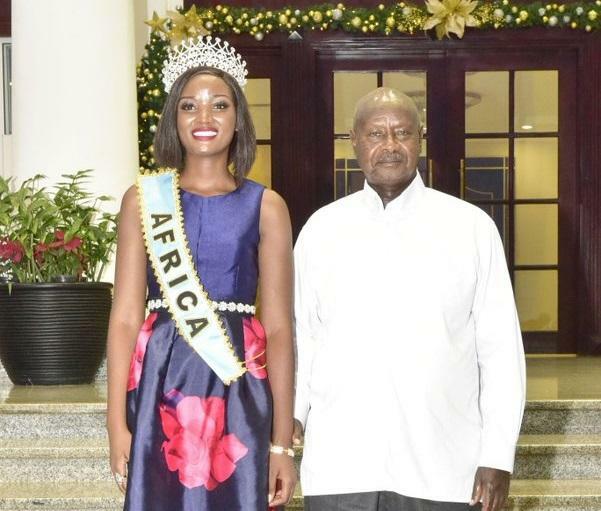 Ugandan President Yoweri Museveni criticized the new Miss Africa, Quinn Abenakyo, for “wearing Indian hair”. But some twitter users failed not to ignore his advice but mocked him while some praised his observation. The Ugandan national was sensitized by her president to “keep her hair natural, African”. “Abenakyo is indeed a great and beautiful daughter of Musoga. My only concern is that she was wearing Indian hair. I encouraged her to keep her hair natural and African. We must show African beauty in its natural form,” president Museveni tweeted. His remarks divided opinion on Twitter. Some supported the president while others drew attention to his own capillary potential. “Too much has been said by a man without hair ………kitalo” launches a Twitter user. “But why don’t you keep your natural hair, Mr. President, so that you can promote African natural hair as well and be exemplary. This is the time when you kept the “Afro” that I miss, Mr. President” mocked a netizen. I wish u know how this young lady troubled to reach China where she represented our country without ur government’s single coin. Why do u always brag on seeds u didnt saw? The same happened to Kiprotich, he had to strain to get airticket to London, on his return, it was u again. On this Mr President, I, all the way from Tanzania 🇹🇿 I second you! Great point there. They may not like it, but you have said it the way it is! Remember…. It was just an advice not a command…. I totally agree with you, Mr. President. African women should be proud of their God-given “natural beauty”! What turns me on as a man when I meet a woman? A combination of beauty and brains! Quinn, you’re divinely blessed with both, so take Mzee’s advice seriously and you’ll break the glass ceiling! … Go, girl, and make us proud again! I totally agree with Mzee, H.E. 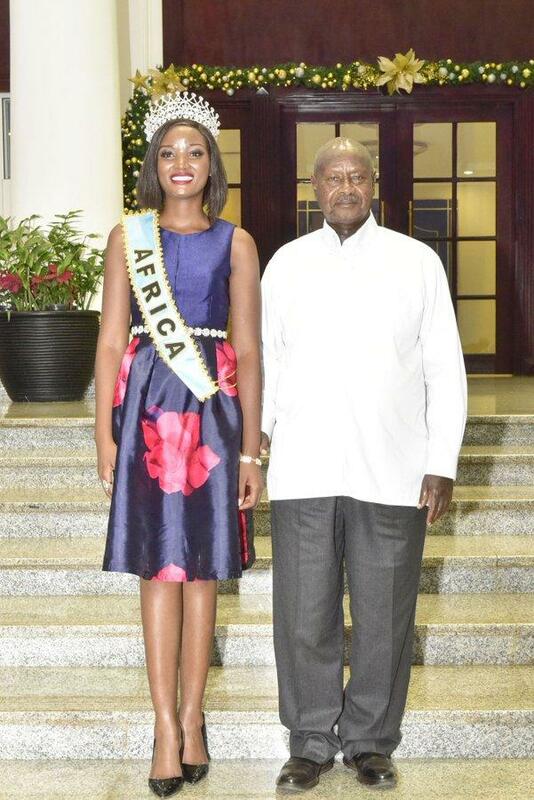 Yoweri Kaguta Museveni, President of the Republic of Uganda, with his well-meant comment and kind advice to the beautiful and intellectually very intelligent Ugandan young lady who has made sub-Saharan Africa (including my country, Zambia) extremely PROUD! for having survived the tough “Miss World” pageant all the way to the “top 5” and came in “3rd best”, which earned her the prestigious beauty title of “Miss World Africa”, Quinn Abenakyo. African women should be proud of their “natural beauty”. I once dated (and, to-date, still regret not having married her!) a very beautiful muNyankole girl from Mbarara, Uganda, whom I met in Nairobi, Kenya, when I was studying veterinary medicine at the University of Nairobi (1976-80) who always sported her beautiful natural hair … and I loved her the more for it … her natural beauty! So, Quinn, take Mzee’s advice seriously and don’t be misguided by the many African women who “feel inferior” to Indian or Brazilian women “hair-wise”!